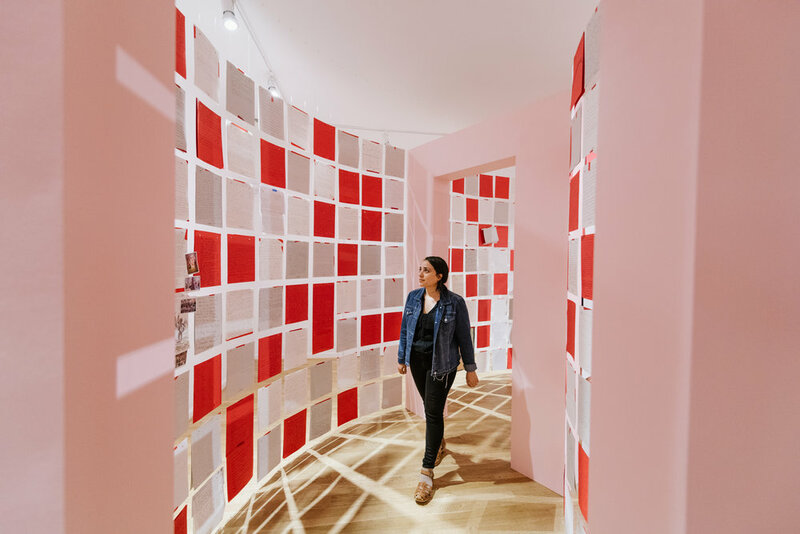 To Future Women is a museum intervention that memorializes the 2017 Women’s March and #MeToo movements by generating a 20 year time capsule of letters written to the next generation of women. 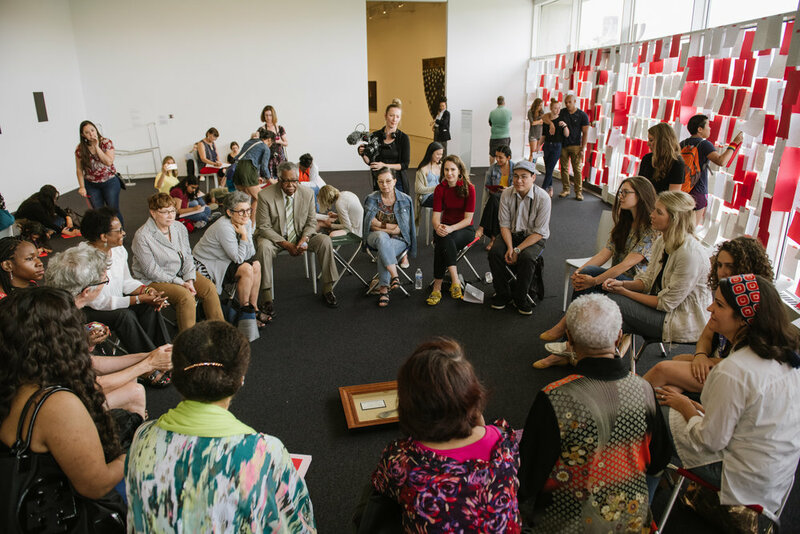 Created by artist Georgia Saxelby, the project occupied the galleries and walls of national museums in Washington, DC, such as the Hirshhorn and The Phillips Collection. It will infiltrate their institutional archives for the next 20 years, to be re-exhibited on the 20th anniversary of the Women’s March in 2037. 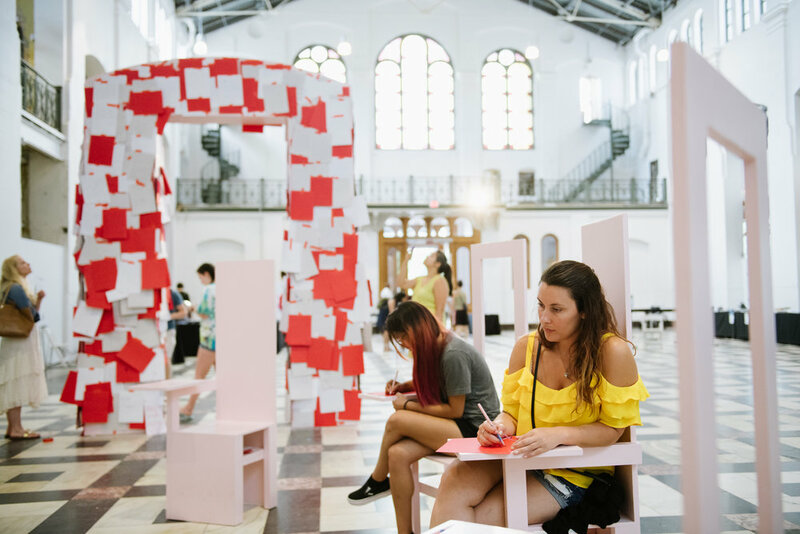 To Future Women uses the platform of art to historicize one of the largest networked protests in history, ensuring that women’s histories will not be forgotten. The project began at museums in Washington, DC on 21st January, 2018, the one year anniversary of the 2017 Women’s March. The time capsule of letters is written by the public and mailed in from around the world detailing present stories, as well as hopes, expectations and anxieties for the women who will come after us.